This month, we would like to introduce you to Declan Reid. Declan has been at the college since doing the Access to Creative Industries course and has since completed an NC, HNC and is about to finish his HND in Sound Production. On top of his busy schedule of classes and coursework, he has volunteered to work as an assistant technician within the department, helping full-time technician Chris on daily maintenance and repair work. What originally made you interested in Sound Production? My interest in sound production began when I was about 13/14 years old, where I was doing very basic live sound for cabaret acts in a bunch of different bars & restaurants. Although it was very easy work setting the PA up, operating a small 4 channel mixer and balancing one or sometimes two vocals against a backing track, it gave me the chance to see what could be involved in Live Sound. I then got into music production using a very sketchy version of FL Studio and got to do a weeks work experience in a commercial studio, so I’ve always been curious about the technical side of making music. What has been the most fun elements and experiences of doing your HN at NCL? The most fun parts of this course have definitely been the opportunity to organise my own gig at Nice n Sleazys & engineer acts during the event for sound reinforcement. Along with the studio access available, I’ve had the chance to work & play with some very talented musicians and bands through different studio based modules, which has allowed the creation of some very cool tracks over the past couple of years. What kind of tasks have you been involved with as an assistant technician this year? 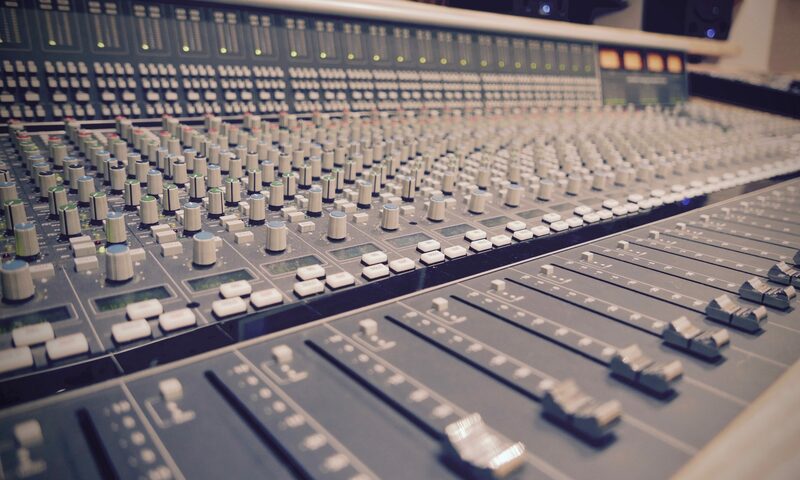 Tasks cover everything that would be expected from an assistant technican, such as maintaining the studio facilities and ensuring they are kept clean and organised, to preparing equipment for studio bookings. Overall, the main tasks were to ensure that the studios could run smoothly, and I would be one of the first points of contact if there was a specific issue during a session. I also can’t forget the cable repairs…so many cable repairs. I’ve also been able to get a better understanding of the studios, from more in-depth use of the SSL consoles and patchbays for advanced signal routing, to understanding the tie-lines between the studio control & live rooms, headphone amps and patch bay cupboard. What are some of the knowledge and skills you will take away from this tech post? The main skills I’ve gained from the assistant technician post is a huge improvement of my soldering abilities – a key skill to have, no matter what field of sound production is involved. I’ve also seen a big increase in my understanding of fault-finding and troubleshooting within studio environments, which has allowed me to create a mental checklist of potential issues that are commonly encountered, both within the college facilities and in outside locations. Being able to properly diagnose problems effectively & efficiently allows me to worry less about something going wrong mid-session, and focus on ensuring the project I am working on goes as smoothly as possible. What are you looking to do and achieve in the future after completing your HND? As for the future, I am excited for University to progress my skills further and expand into other areas of sound production that aren’t focused upon during the HN courses. I also have a huge interest in electronics currently that I’m looking to develop further. Once the HND course is finished, I’ll be finalising the tracking stage of my bands debut album before spending a very intense month mixing & mastering the tracks before doing lots of promotion through a series of gigs to build excitement and interest. I hope to continue working & creating new exciting music in the future as well and I certainly have plans of carving a spot in the list of greats in the industry, driven by my passion to succeed. With the skills I’ve gained throughout my 3 & a half years studying at New College Lanarkshire, along with the opportunity to work as an assistant technician, I am ready to tackle the Creative Industry!